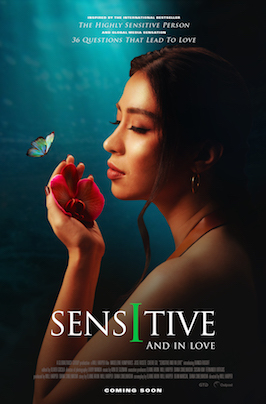 We just completed a weekend workshop for parents, teachers, and counselors of highly sensitive children (HSCs) at 1440 Multiversity in Santa Cruz. They said it was much needed and appreciated. (This will repeat at Kripalu on the East Coast September 28-30—please let parents of HSCs know). A theme was the need to give HSCs time for transitions and in general to try not to rush them. (Items on that are even on the HSP Self-Test.) But then some parents, mostly the HSPs, chimed in that they, too, have always been seen as slow or late, which frustrates others and makes them feel there’s something wrong with them—that old theme. Let’s look at this. Life is full of transitions: Waking up, falling asleep, going from relaxed time to starting to work, or stopping working to take a break, or preparing for a trip or returning from one, or staying on a schedule you like but just don’t always keep to. I set a timer to get up from the computer every half hour for a break from sitting, but sometimes I let it chime over and over. I joke that I really need an ejection seat! A transition often implies a deadline: Get moving because there’s a deadline, a place you have to be, a decision others are waiting for. Or a break you planned to take before you do more. Do you often miss your downtime because you didn’t stop when you should have? Most HSPs do not wish to be late. Hence mostly this slowness ends up leading to rushing, or no break. But sometimes it also leads to procrastination. What are the causes? Let’s turn to good old DOES, the four characteristics of HSPs. D, depth of processing, causes us to be thinking, maybe planning or imagining, and not noticing the time passing. Or we are in a creative flow. If we are about to go out, depth of processing also causes us to think of all the things that might happen while we are out and what we might need. (We are usually the person who has the thing others forgot to bring.) As we add things, we’re slowed down. Thinking of all of this seems to speed up at the end as the final moment comes. The result of D is O, over-stimulation, which makes our thinking less efficient, which we can sense, and therefore, we need or wish for even more time to be sure we are not forgetting anything. It can be pretty miserable. As I drive away from my house, I sometimes have an uncanny sense that I have forgotten something—ONLY when I really have forgotten something. When it comes to me, I have to drive back or do without. That’s the unconscious depth of processing. E, emotion and empathy, adds to both depth of processing and over-stimulation as we worry more about what we might forget and about being late. This slows down our preparations just when our empathy tells us that others need us to speed up. S, sensitivity to subtle stimuli, means noticing small things about what we are doing (for example when writing thinking of some subtlety and adding another paragraph on something) or things we see around us before we leave the house that may remind us of more things we might need or ought to bring—a snack, a jacket. Just as difficult, we see things that need doing before we transition, like plants that we suddenly realize need watering or something about our clothes that needs fixing. An aside about time. A part of the name of the new retreat and seminar center in Santa Cruz, 1440 Multiversity, where we have taught at, refers to the number of minutes in a day and the value of using every one of them well. I’m sure they mean time for rest too, but just hearing it, it almost makes slowness and downtime seem like wasting life. In some traditions, your length of life equals the number of breaths you take or heartbeats. If you slow down you live longer. It makes sense given the huge effect of stress on longevity. Even if you exercise, that probably means in all a slower metabolism. Maybe that place should be called 1—4—4—0h well. Make a list of what you need to do or take. Have a list of what to do today and number the items according to their priority so you feel complete enough when you have to stop. Have a master list for going to work, or getting kids to school, or travel. Then do “save as” and adapt it for any special circumstances. I have a master list of what to take on a trip, and then revise it for the one I am planning for right now. I even have a list of the things I need to do before going to bed. It saves trying to remember when your brain is busily processing other stuff. Prepare in quiet if you can—no extra stimulation. If someone else is packing, wait until they are done to do your own packing. Get up a little earlier than others in your family, just to get your brain warmed up and make a plan for the morning or the day. Maybe you need a paper and pen to jot down things you do not want to forget. Thanks for the reminder about time, transitions, not only for our children but for we HSP adults as well. Growing up I didn’t always realize what a gift of “unconditional love” my dear Mother was able to provide for me. Although she wasn’t an HSP, she was kind, comforting, spiritual, strong, and always tried her best to understand me. Granted, most times she was confused about how to answer my questions related to my “existential angst” but she did her best. And yes, TIME … how comforting to be able to take our TIME as HSPs. That’s another thing I will always be grateful for about my Mother … At least once a month throughout my painful highschool years, she would respond to my pleas and allow me to stay home to “rest.” I realize now these were “mental health” days for myself. Mental Health days I love it. I always trie to explain them ( to my partner) as a day to charge the brain. I give them to all my children when I hink they need one. Thank you Dr. Aron. Very timely info as I am in the middle of packing for a trip overseas and was running in circles…..so overwhelmed with a million things to do. It’s amazing how our hsp brain operates. It needs a lot of transition time to figure things out, but once it does the energy to finish the task is unbelievable. I take more time to work everything out in my head than the task itself and at times it’s quite annoying because it feels like wasted time. When I was younger I was more spontaneous, but now I have to plan every little detail in advance. For example when I travel to a new town I check restaurants reviews & menu and even decide what I will order before getting there. Is ‘hsp’ more pronounced as we get older? Thank you for this. 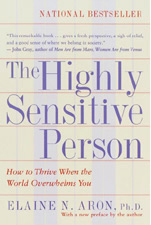 I recently heard about this HSP trait and read the book and watched the movie with my husband and daughter. We are all HSPs and it helps to now understand it’s not a bad thing and we are not alone. The newsletter about aging and HSPs is also very helpful. Hello, my name is Mary Mullaney, I would like to discuss HSP and Autism. Is there a possibility for? Because I think there is a relation between all the difference. Thank you. T & T was very well written‼️ I have these issues in my life daily and have been making lists weekly & sometimes daily for years now. It sincerely helps. Being slow and over packing for any trip or an outing describes me too. if you need something I usually have it in one of my many bags. Very glad to read I am again not alone with the struggles in life. Thank you Elaine & all your helpers with your research. God bless you all. thanks very much for this – I recognize a lot! Especially the thing about packing, my husband and I used to do it at the same time but it drove me crazy. I need to talk out loud to myself to remind me of what I am doing, and I need the space to do things my own way. Without comments from someone else, no matter how well meant. I do feel that HSP’s have a different sense of time somehow, it sort of slips through your fingers and seems like 15 minutes when really it is half an hour or so. My non-HSP husband does not understand this, so there’s always some friction there about when we need to get ready. But we’ll get there!! Thank you for this. I do struggle with this. I end up being late and then beat myself up because i am being rude to my chiropractor etc by being late or I feel badly that everyone else can get there on time and I can’t. If I am in the middle of something it is hard to leave something unfinished. I do rush out the door and leave behind things I need to take. Thanks for this great article that helps me better understand my own experiences and challenges with time, and will undoubtedly help me to assist my clients with these challenges as well! This article is absolutely wonderful. I feel so validated, living in ‘hyper fast’ Northern Virginia, always feeling behind with everything! Now I understand I am doing the right thing: cutting out things and taking my time! Just a comment about moving! Even if I love the prospective house (I am buying a home) I feel overwhelmed by not only the details of the transaction, and the setting up and decorating of the place, but simply the idea of such a major shift takes a toll: I find that my decision making about even buying a place is impacted, delaying me and any action; facing the largeness of what is ahead knocks the wind out for a time. This is hard on my non-HSP spouse, and can invite doubt as to my own decision making abilities. No neophyte in life, I am 70 and in excellent health, and honestly, the trait seems only to deepen over time. Indeed, I now characterize my trait as blessing and less than, as in, today my trait is a blessing, yesterday something I wish I did not have. It is a powerful and far-reaching thing, this sensitivity, that for me is increasingly informed by my deeply contemplative nature. Thanks for listening, um, quietly:). Oops, I just sent you a comment but added another letter to my email. See below the correct em. very very helpful and appropriate thanks!!!!! Thank you so much for this web site and the resources! I’ve never really grasped why I can’t deal with things the way others do and have had periodic bouts of low level depression and feelings of inadequacy as a result since my early teens, despite a high achieving and otherwise glittering career. I read an article that lead me here, and I am so relieved to have the insights. This will help me process the intense emotions better and help me explain to others what must be pretty inexplicable responses sometimes. Wow. I’m 53 yo and have always wondered why, despite my awareness of my pattern of packing in “just one more thing” before I leave for an appointment, or for work or even leaving work, I continue to struggle with it. Whew…thank you yet again, Dr. Aron, for helping me see myself more clearly (your book changed my life more than 20 years ago). Ditto to Ber’s comments!! Every one of them. I had the great honor to see Dr. Aron for one session when the book had just been released (and was sold out everywhere I checked) and her work completely changed my life from “I always thought there was something wrong with me” to “Now I know there’s something very right with me”!!! 2 tips I practice now: 1) I ship a box to my destination whenever possible. Partly because it reduces the weight and strain on my neck (20 lb lifting restriction) and I can use my carry-on for my pillows and absolute essentials instead of checking a bag. Faster to leave the airport too, or catch connecting flight. Also it forces me to do the stressful things a week ahead! 2) At home I do everything the day before, if at all possible (gas up, load everything, select my outfit, that sort of thing). And make very detailed lists!! I’m much more relaxed–and enjoyable to be around too, now that I’m 65. Hi Elaine (and everyone), newly identified HSP here, almost done with your book and it was as if you’ve followed me around my entire life, ghost writing my behavior and thoughts. It’s been LIBERATING to read having found my place in the world almost instantly. I found this post related to parenting, but spurred some other thoughts related to transitions (then got me thinking about life transitions). I’ll need to revisit the book over and over again but have you addressed HSPs in crisis? Specifically, I have been told (and agree) that I did not handle my wife’s miscarriage well and 3 months later her 21yr old brother tragically passed from an overdose on New Years Day, which I did not also “handle well” (2012/13). I’m gracious to myself here regarding these crises’ as no one would handle them well, but in observing Depth of Process, it seems I was faulted for not responding quickly to my wife and her family’s need for compassion and empathy. As I type this I realize there is much nuance needed to unpack the circumstance, and I am not looking for a therapeutic response here. I think I am just curious on some resources regarding the HSPs response to crisis whether in marriage, deaths in family or friends, and especially in drastic over stimulation in parenting situations. I know a HSP parenting book is coming, and I’m waiting in desperation for it. If any of you here have some thoughts, I’d love to hear them!